Nismo and the RB - Part 2 - The RB Engine, A Reality. Firstly I would like to thank Ale (You can check out his blog here: http://www.bnr34gt-r.com/. 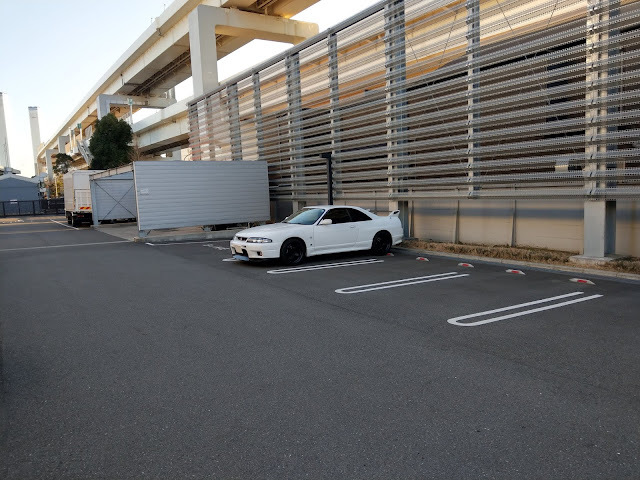 He is also an avid GTR enthusiast his blog documents his journey in and around his own R34 GTR) for introducing me to the Omori factory guys. It was thanks to him that I was able to get a rare glimpse which very few get to see, inside Omori Factory. Nismo usually allows their customers to come watch them work on their pride and joy in the regular work bays whether it be a simple oil change or the fitment of new body panels. However to get a glimpse inside Omori factory itself where all the magic goes on you need to have your engine in for some work. A Nur in for some work and a S2 engine which looks near completion. 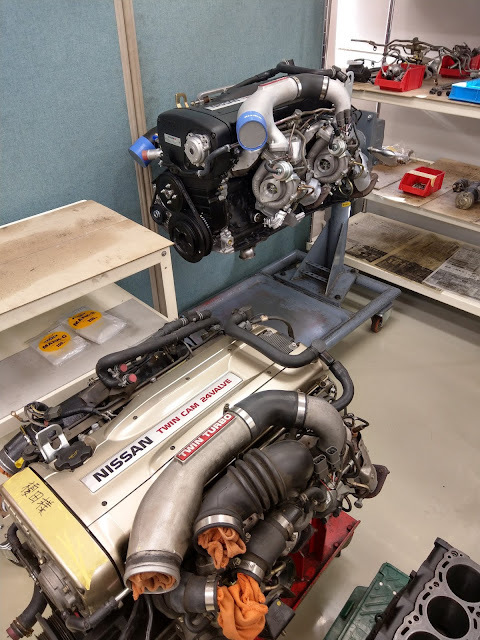 The legendary Z2 engine from a customers Z-Tune in for a refresh however they discovered some apparent issues with the turbos so that is getting looked at now. Continuing on from my previous post covering my quest for increased rigidity. I came across an article on GTR Magazine (Issue 137 - May 2017) where their own BCNR33 had a new product which increases torsional rigidity by over 40% on an Mitsubishi Lancer Evolution X test car. The produc is by Yokohama Rubber Co., Ltd. The product is an offshoot from their Hamatite industrial sealant products mostly used for construction applications. 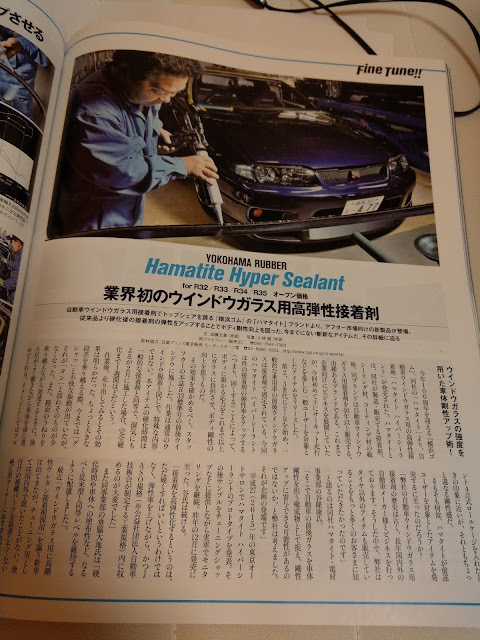 The product name is Hamatite Hyper Sealant http://www.yrc.co.jp/hamatite/products/adhesive/car/hayper_sealant.html currently this specific product seems to be for the JDM market only. Happy New Year everyone! I hope you all had a relaxing Christmas and New Year's break and are all ready to hit 2019. We kick off 2019 with where we left off with the final modification of 2018, the Nismo carbon turbo inlet piping. After fitting the carbon turbo inlet piping I mentioned in my previous post that the OEM duct would contact with the bonnet and piping. The idea is you must reshape the oem airbox duct by heating and sqashing down the region of the duct which contacts to piping and bonnet. However I was still not happy with how the duct rubs against the carbon piping so a week after fitting the carbon piping I removed the OEM airbox duct. After also discussing with Ale as well I decided to pull the trigger on what will finally put my intake ducting dilemma to rest. So yes it warranted a visit to Omori Factory. OK OK - Maybe I have an LED addiction?